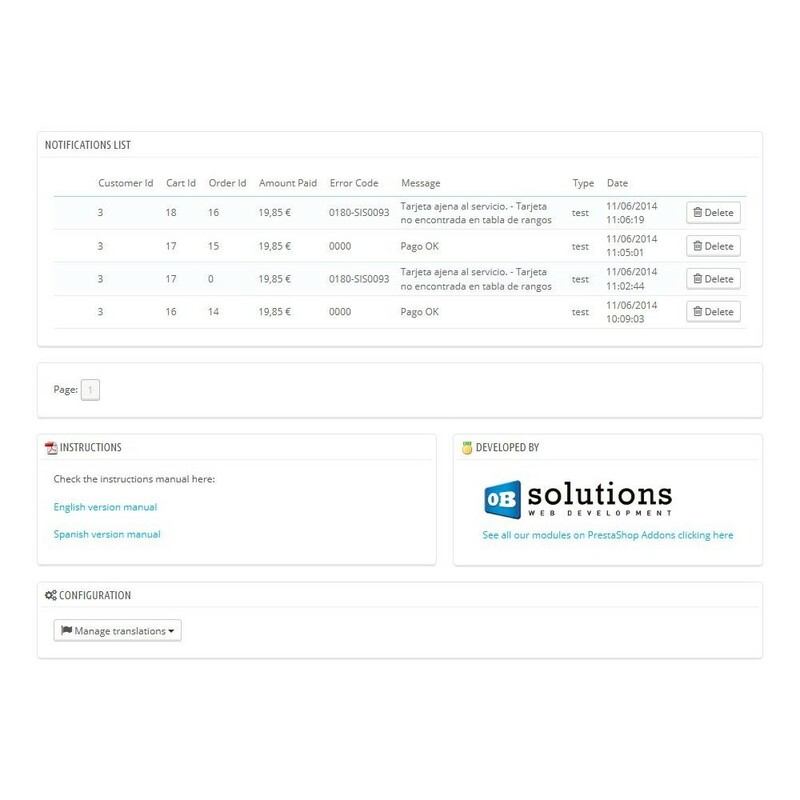 The only certified Redsys POS module with full integration: including notifications and refunds. The most downloaded certified payment module, most complete and best valued in Addons! 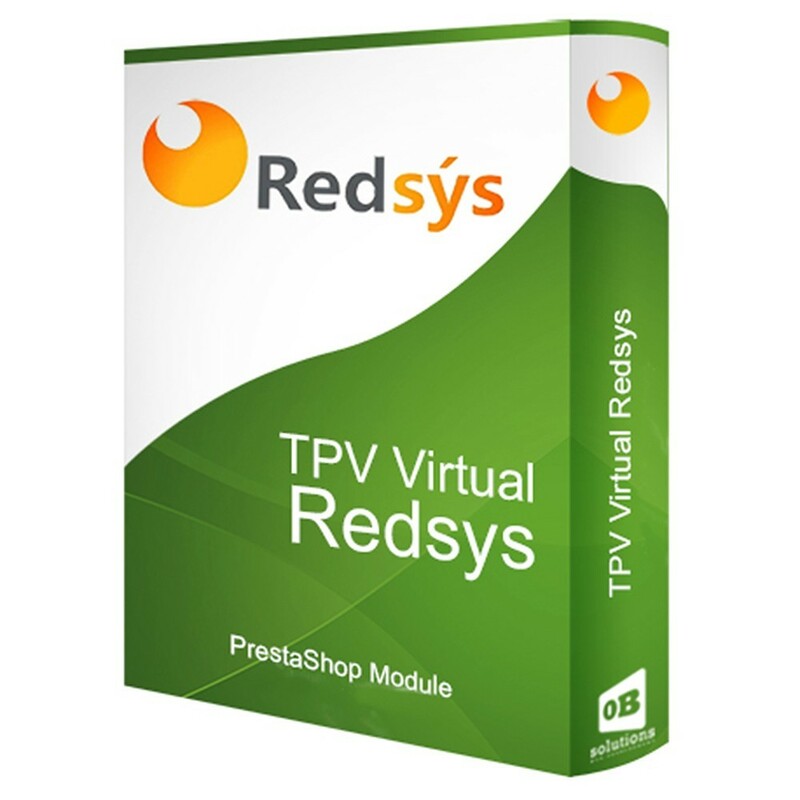 With this easy module, you’ll be able to install and setup your Redsys Virtual POS in your PrestaShop store in few minutes. 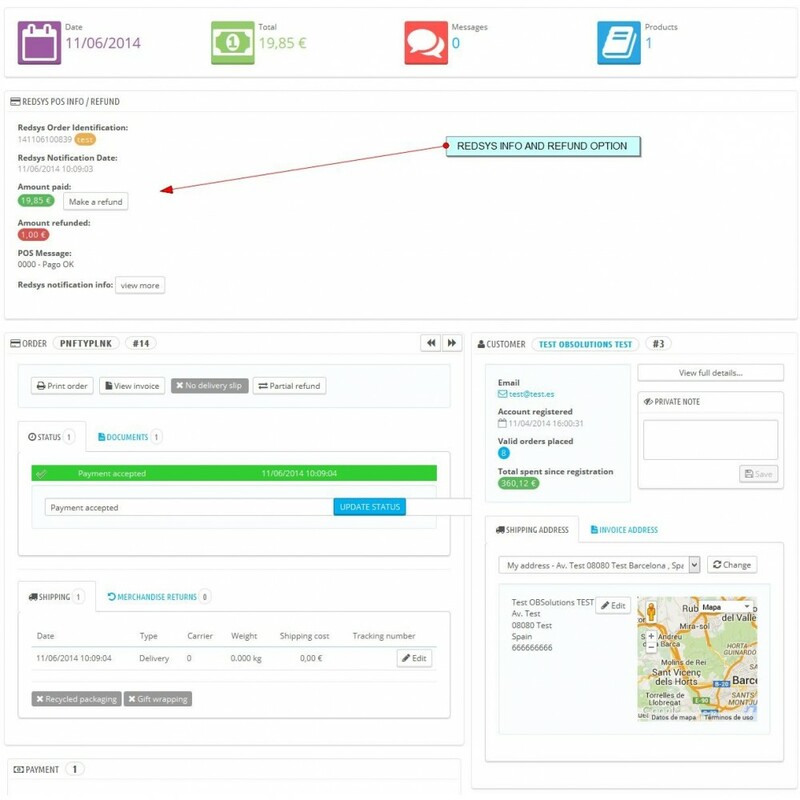 It includes full administration of notifications and will let you make refunds directly from the order detail. 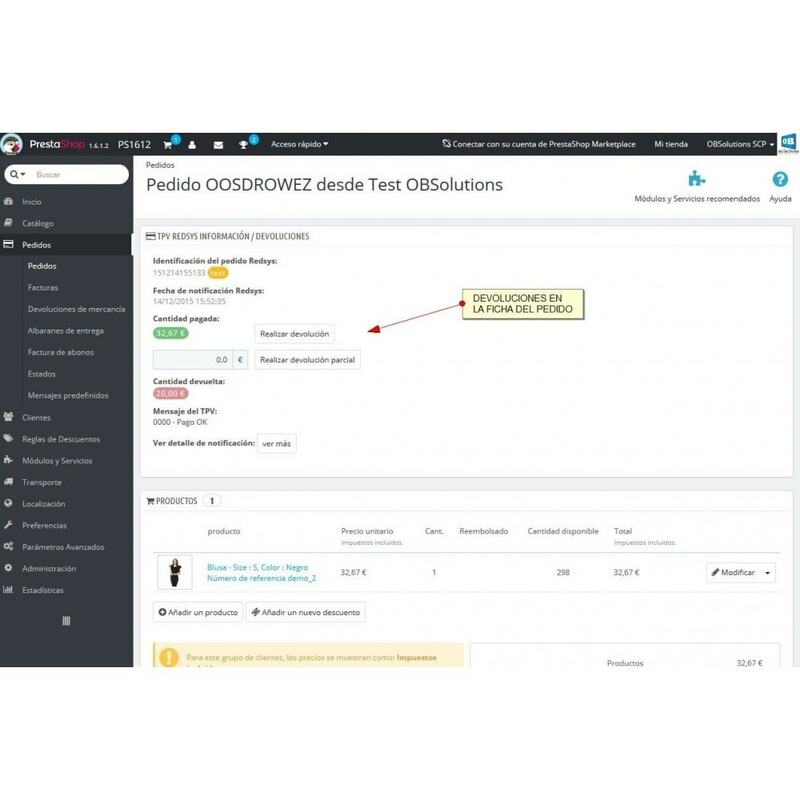 To use this module you need to ask first to your bank for the Virutal POS credentials.